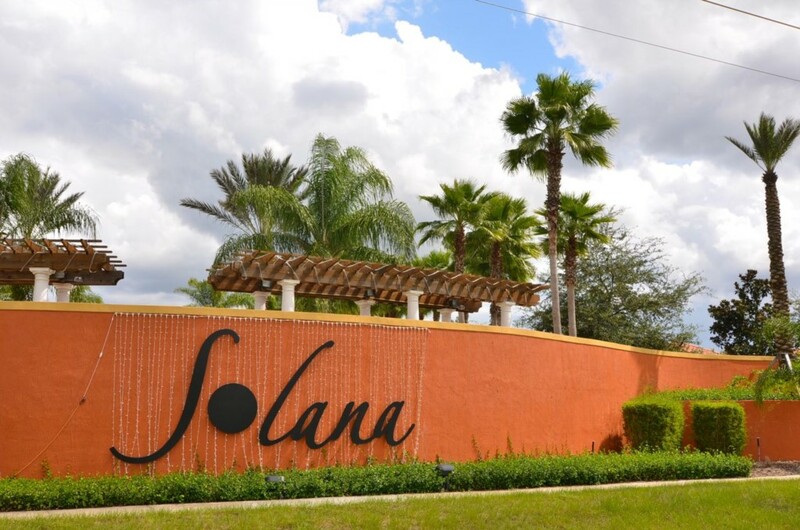 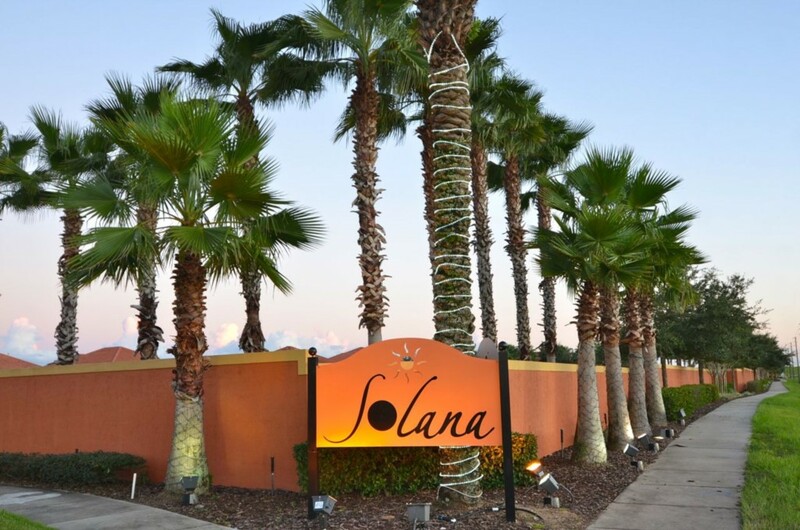 Solana is a beautiful and striking resort in an exclusive gated community that is renowned for its pretty Mediterranean styled homes. 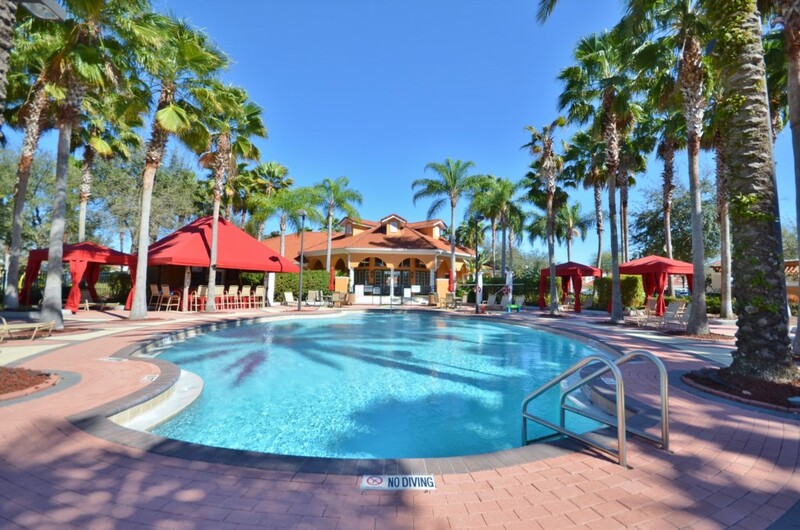 The resort has a wonderful 4000ft Clubhouse that benefits from a Community Pool & Spa that includes shady cabanas, perfect for relaxing days, and with extra activities including a Putting Green, Volleyball and Soccer Pitches there is plenty to keep you entertained during your stay. 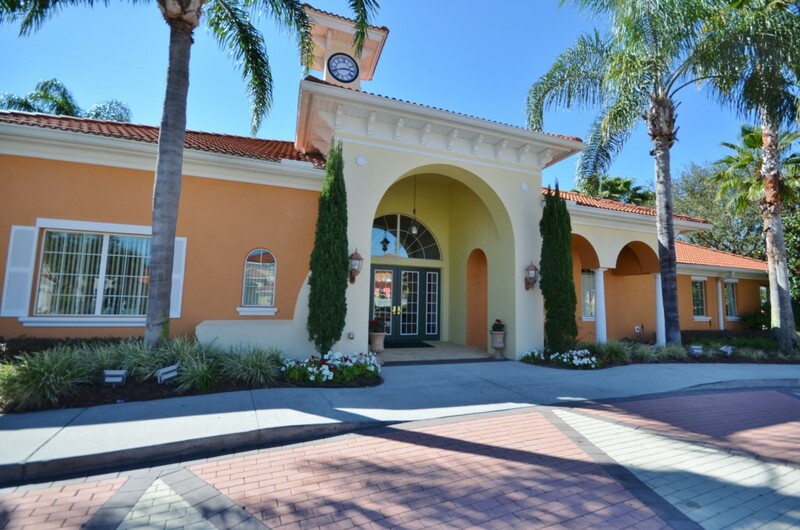 With the added benefit of being situated on Highway 27 a few minutes south of US192 means you have a large variety of shops, supermarkets, golf courses restaurants, fast food outlets no more than 5 to 10 minutes’ drive away. 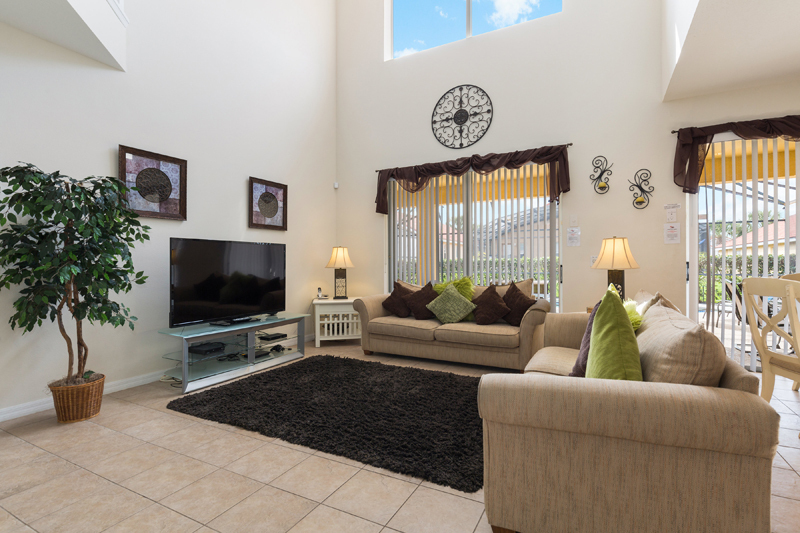 From the moment you arrive at this very attractive property with its beautiful fresh and light contemporary interior, you will know that you have chosen something special. 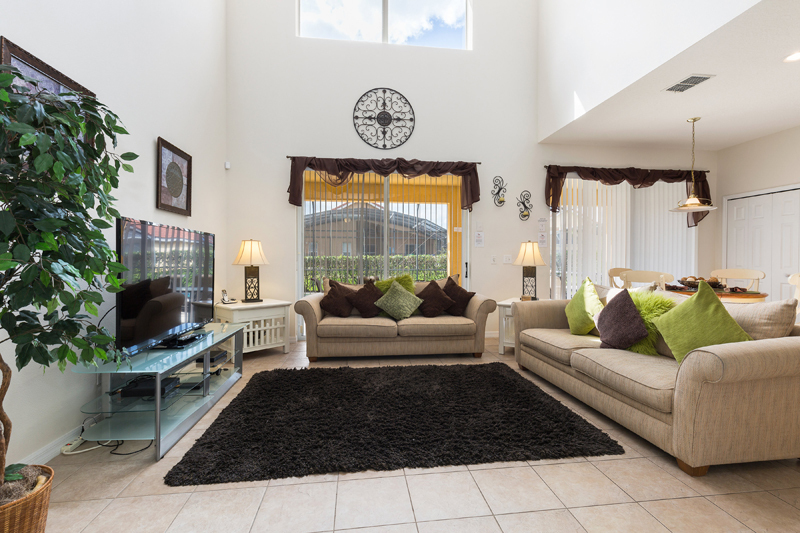 The pale coloured furniture and fixing add to the bright open feeling of this home.The house itself benefits from two living areas. 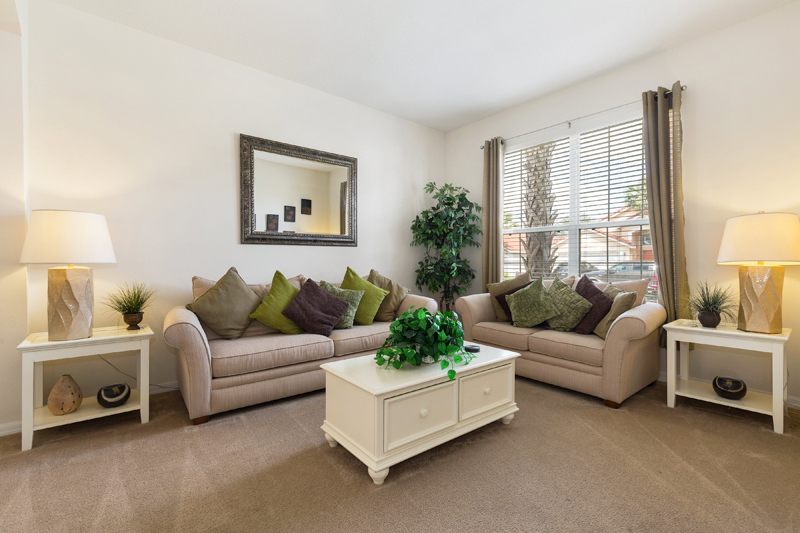 Living Area – is situated at the front of the home and occupies a lovely sunny bright position, with a great cosy seating area, where you can relax and enjoy a quiet read. 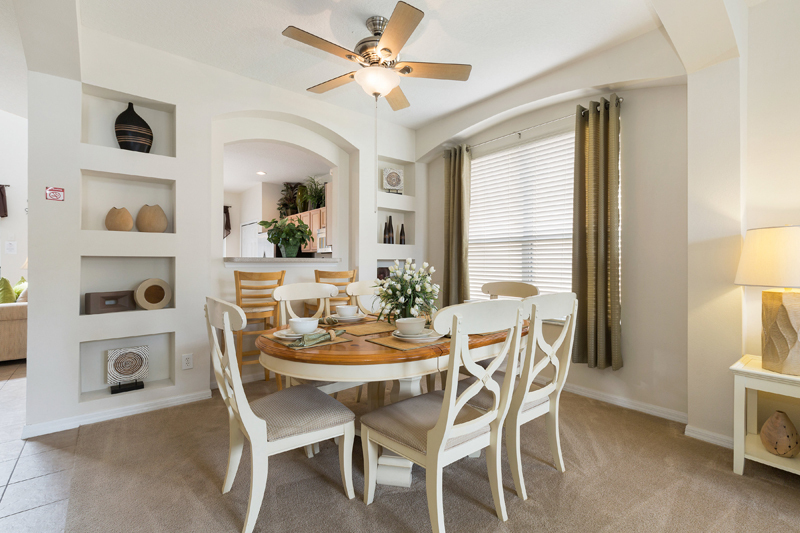 The Dining Area – is perfect for enjoying some home cooked meals on the evenings when you simply want to relax and chat about the day’s events and perhaps plan a few more adventures. 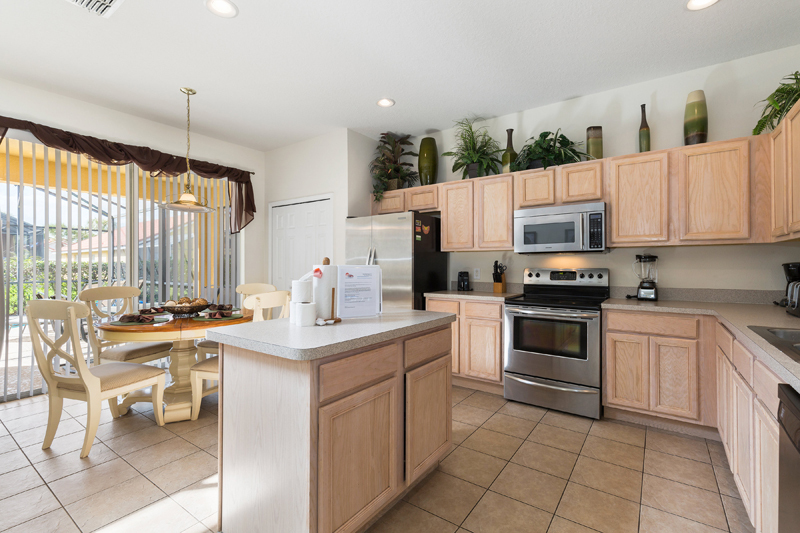 The Kitchen – is fully equipped for all your needs and including a lovely breakfast area with table and chairs. 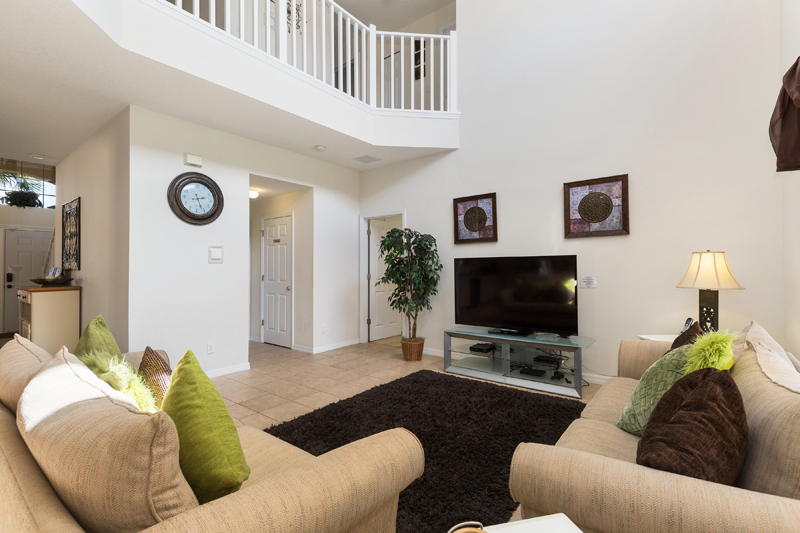 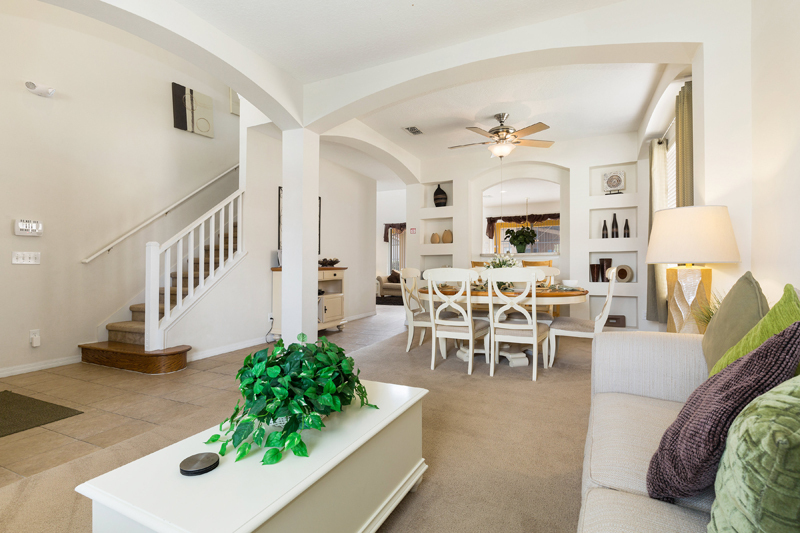 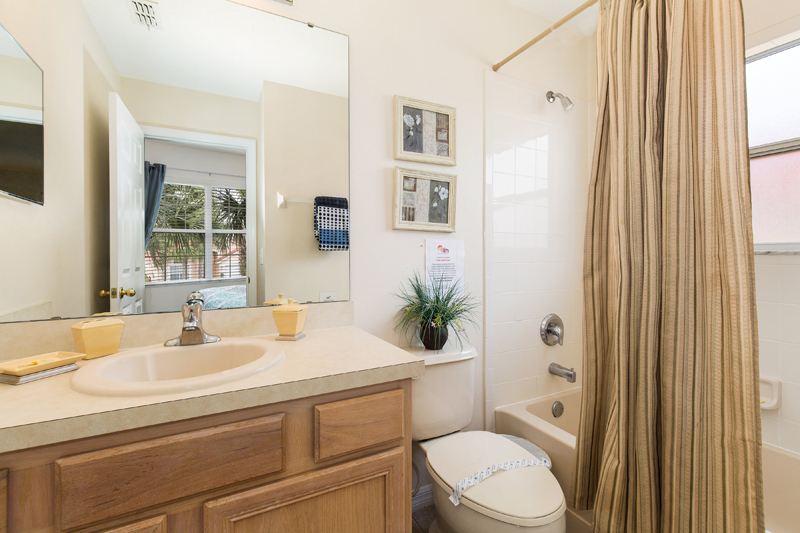 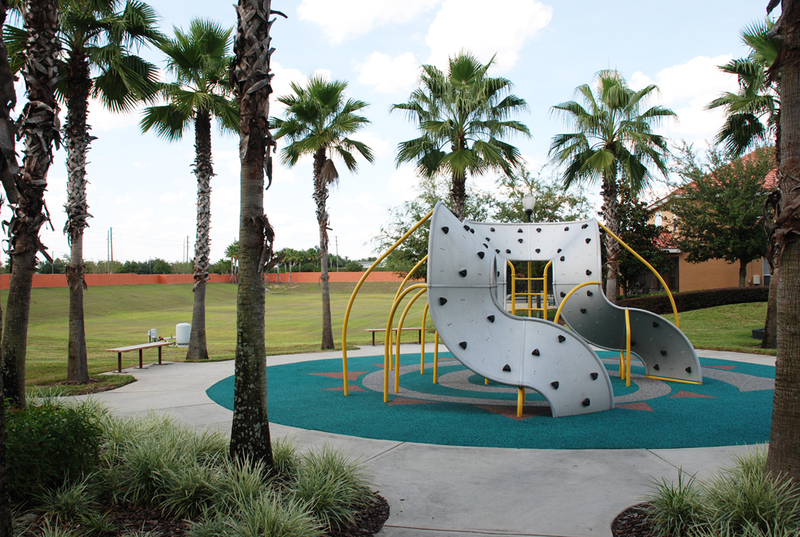 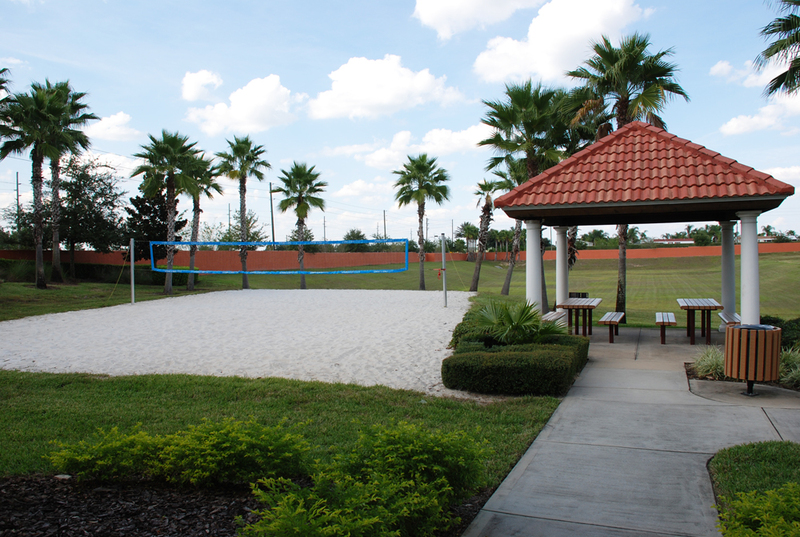 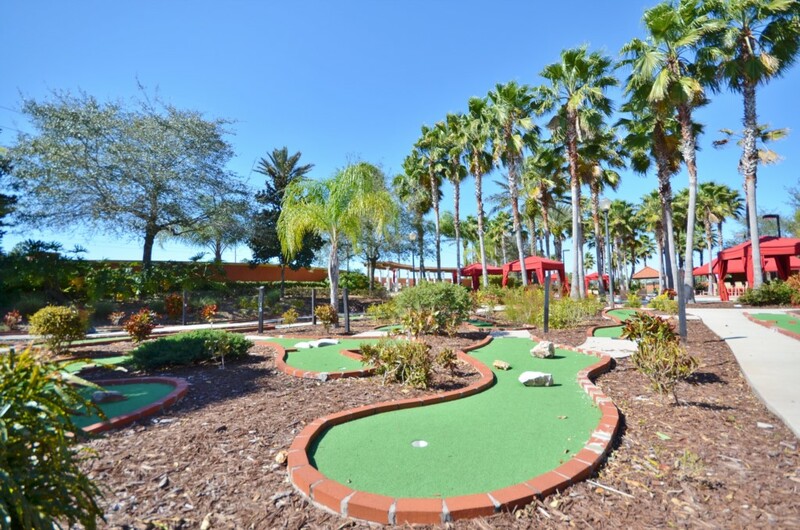 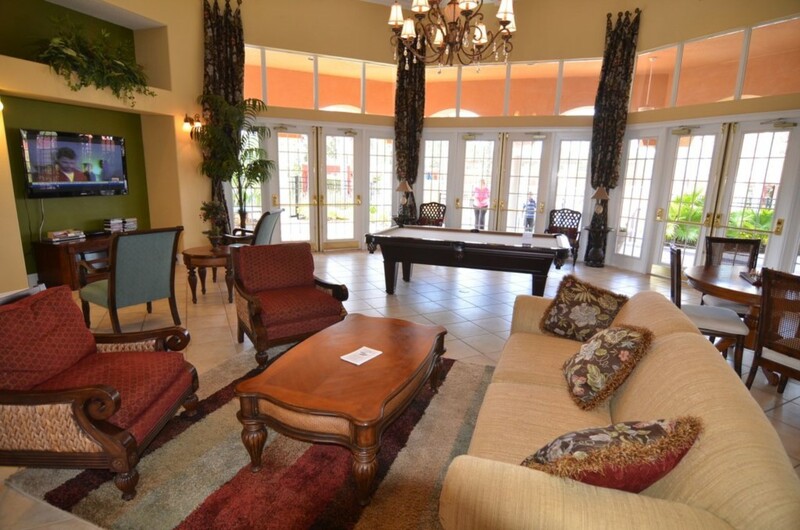 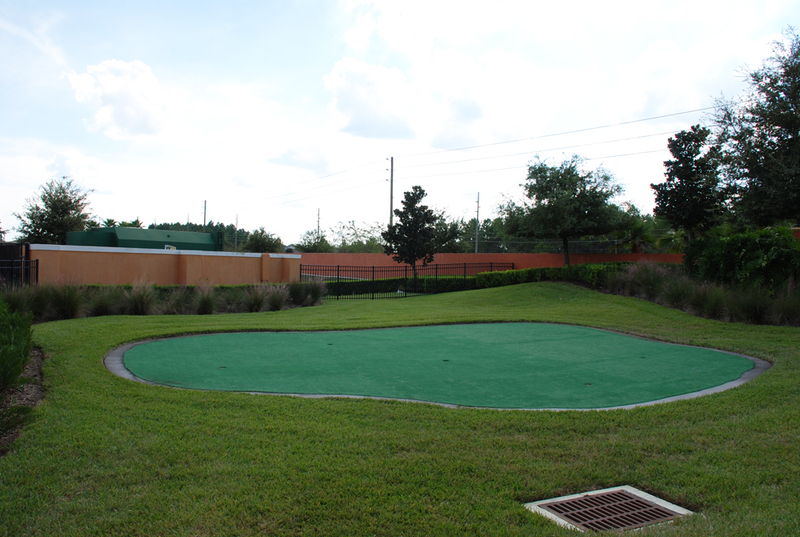 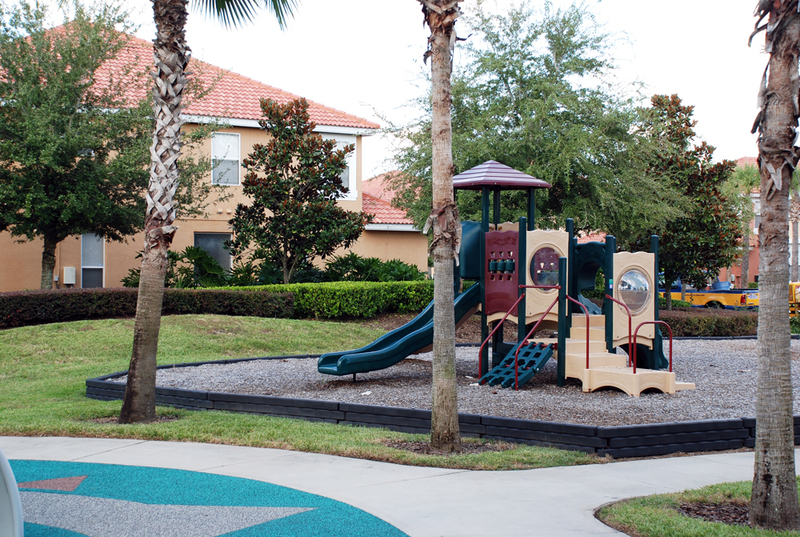 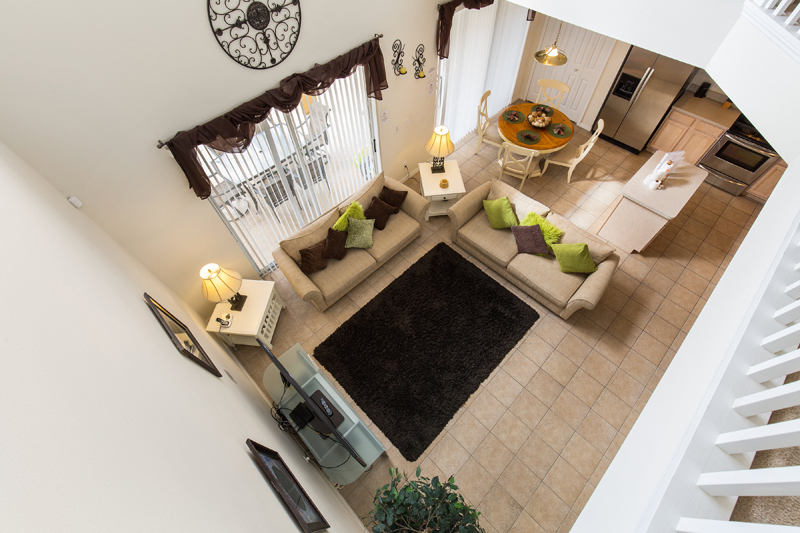 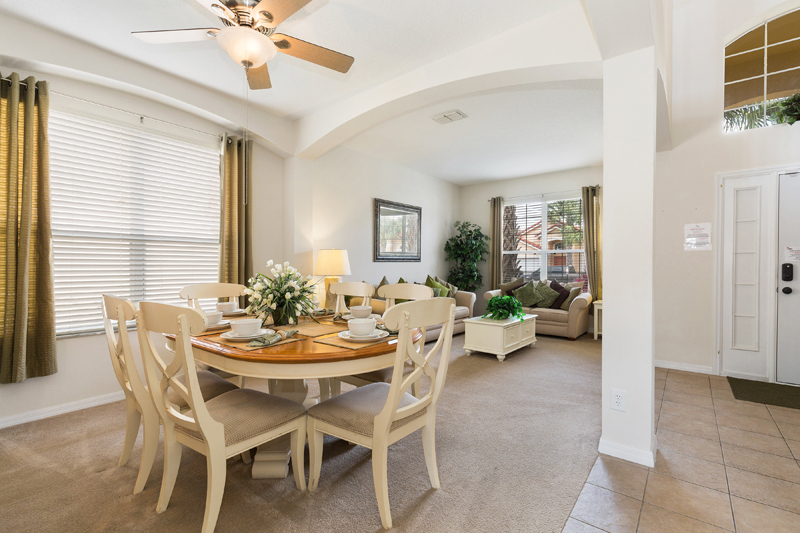 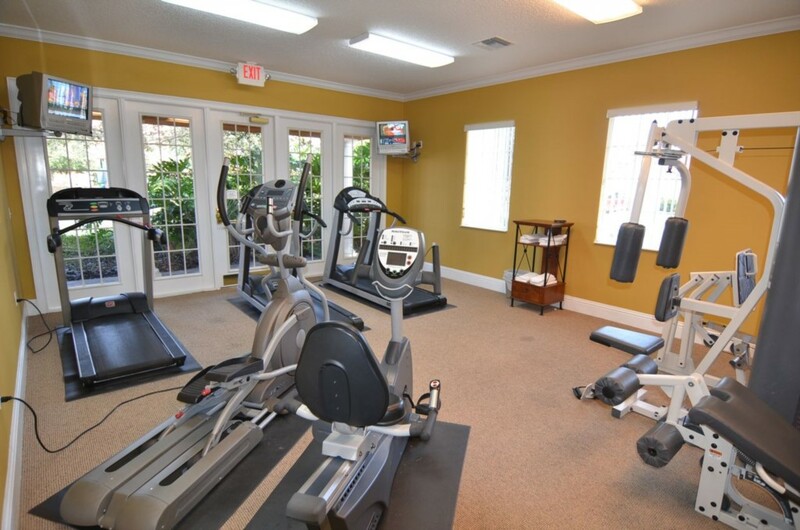 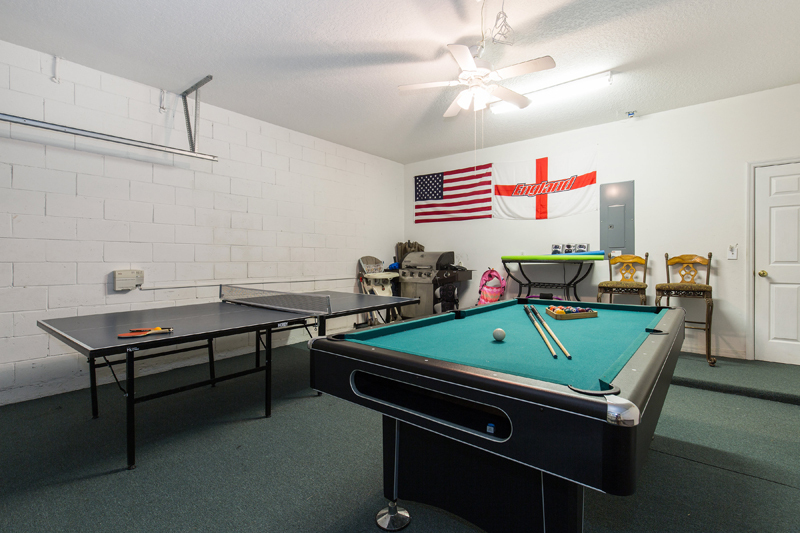 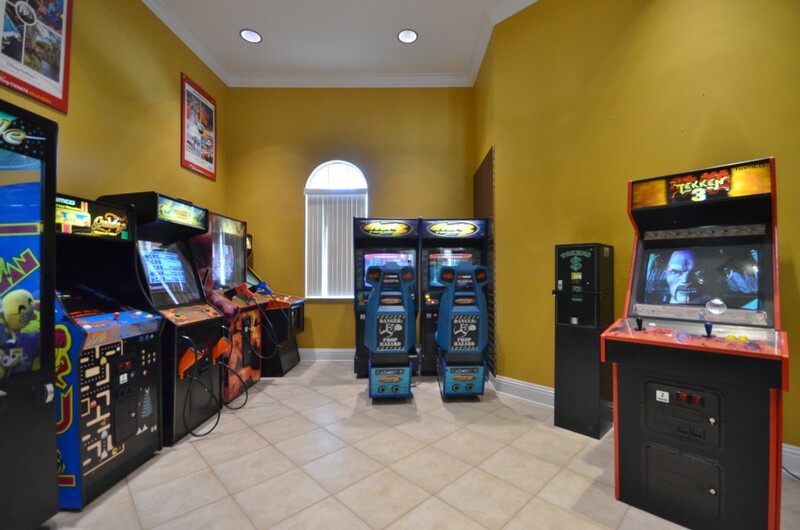 The Family Area – is situated at the back of the home and includes a flat screen television and plenty of comfortable seating to gather and watch a film or a sporting event after an enjoyable trip to one of the many parks and amenities that Florida has to offer. 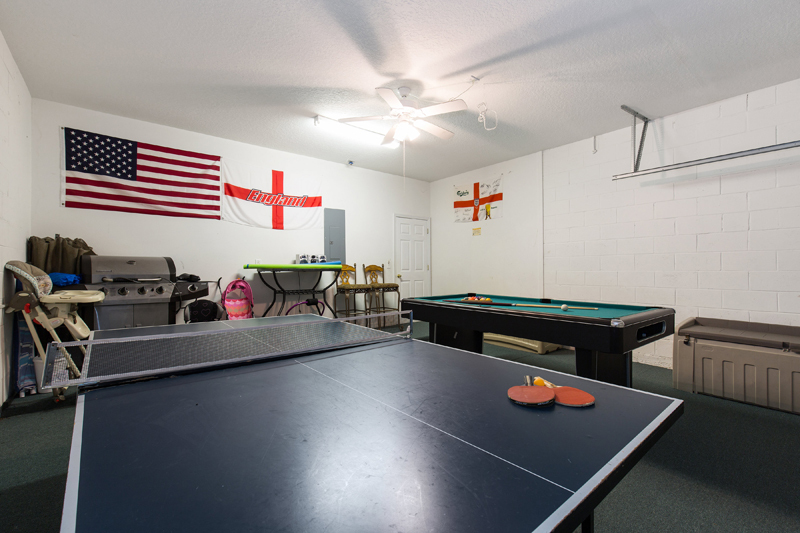 Games Room – This is a great place to let off steam and engage the more competitive of the group with a pool table and table tennis plus a seating area for others to cheer on the competitors. 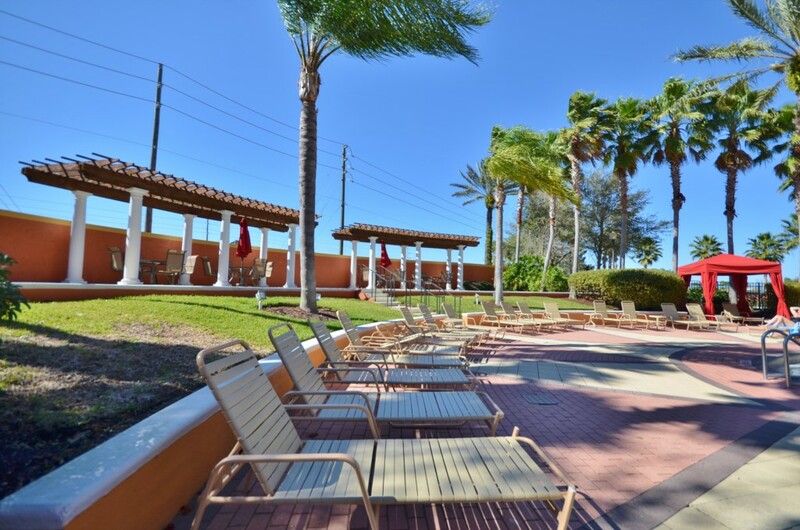 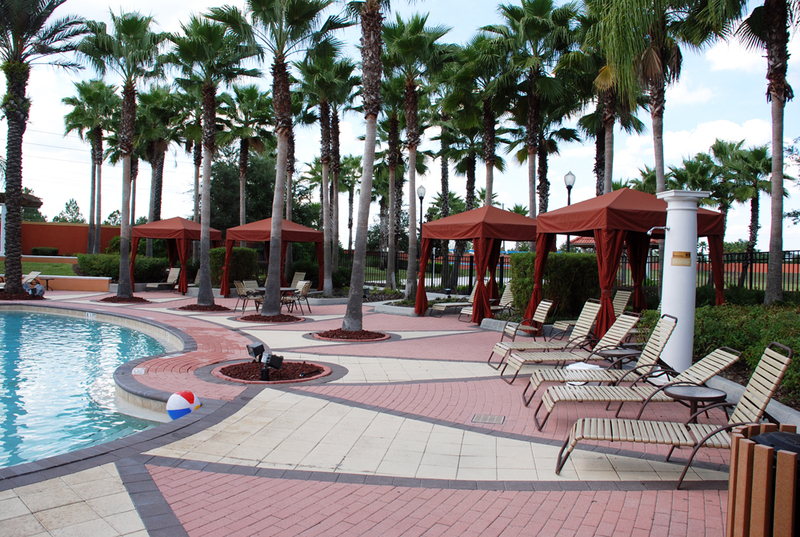 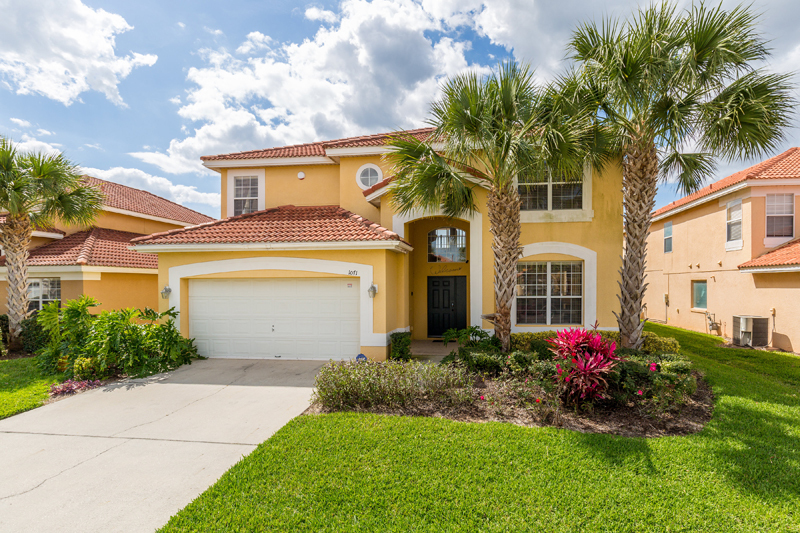 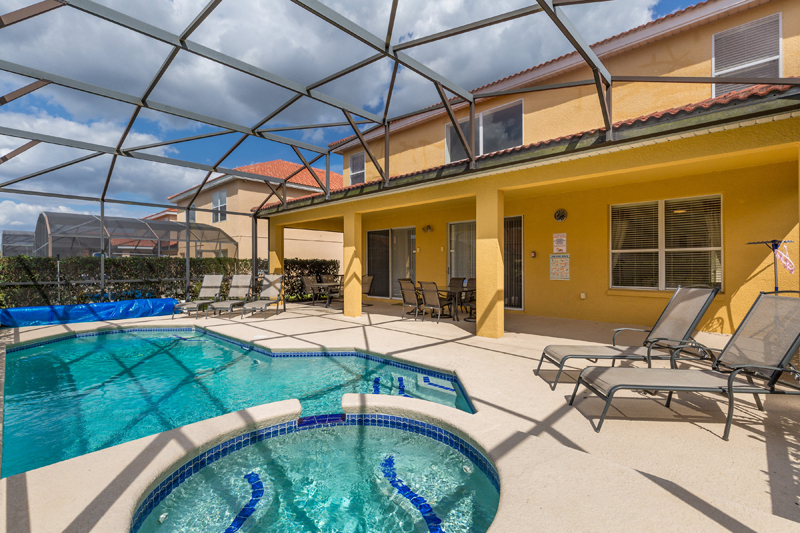 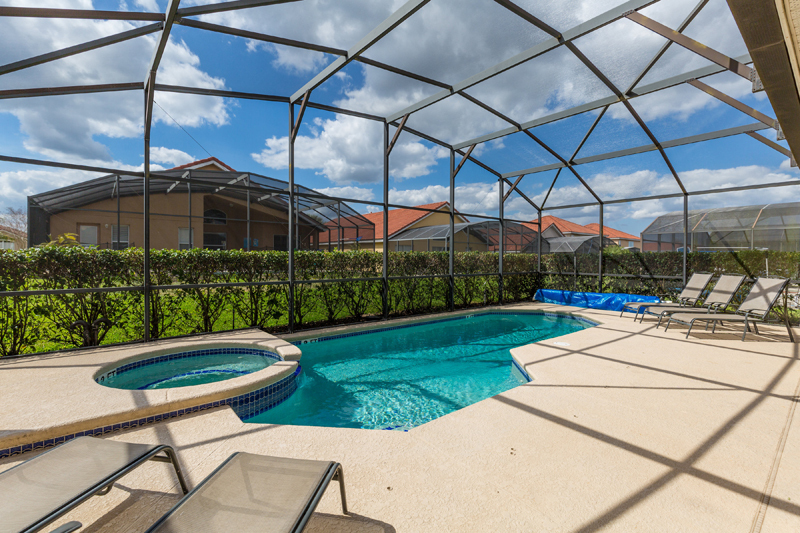 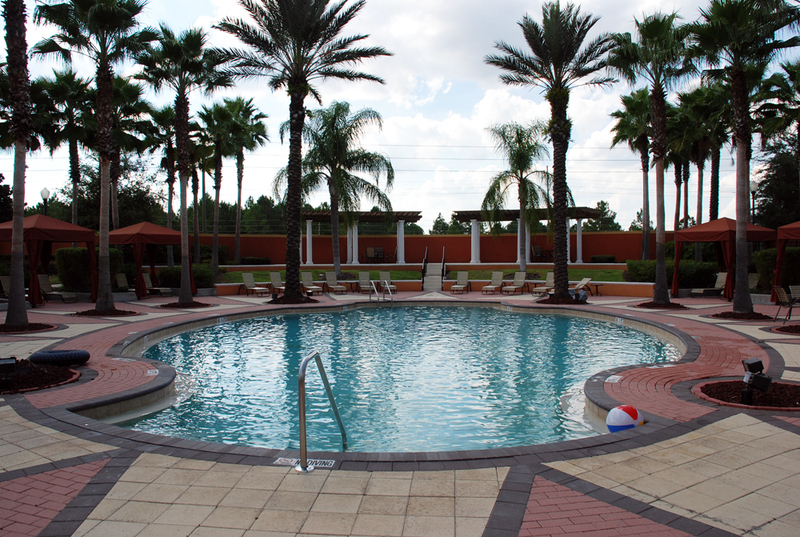 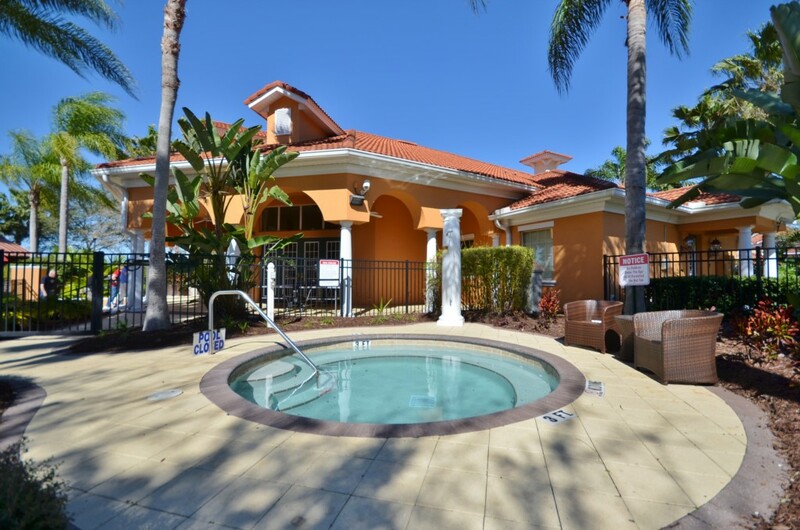 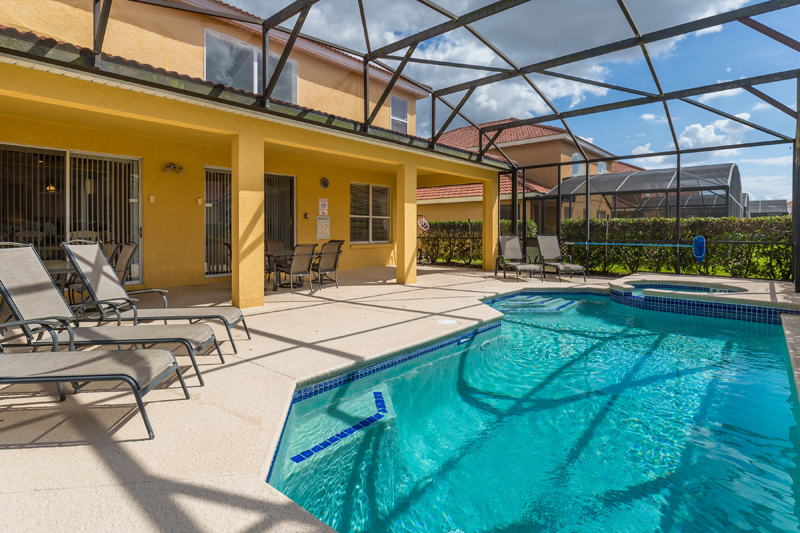 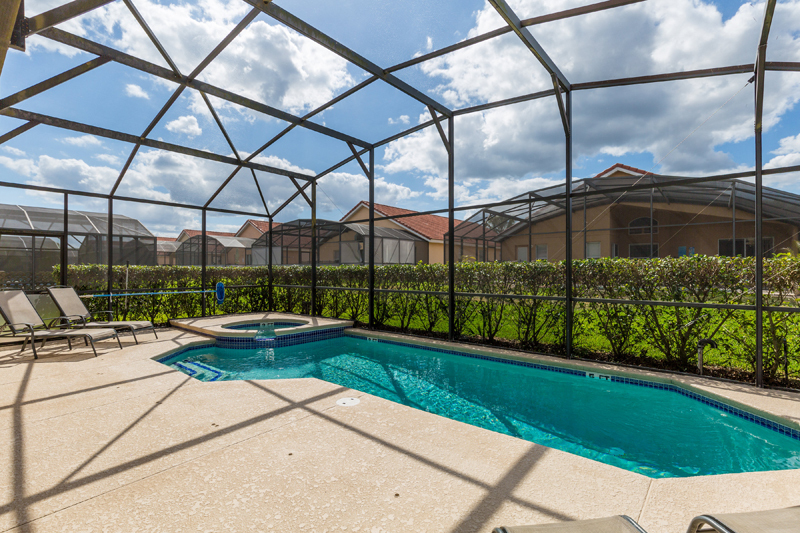 The Outside is stunning with a beautiful extended pool deck, a pretty pool with spa and sun loungers so that you can enjoy the Florida sunshine and relax with a book while the children play in the pool. 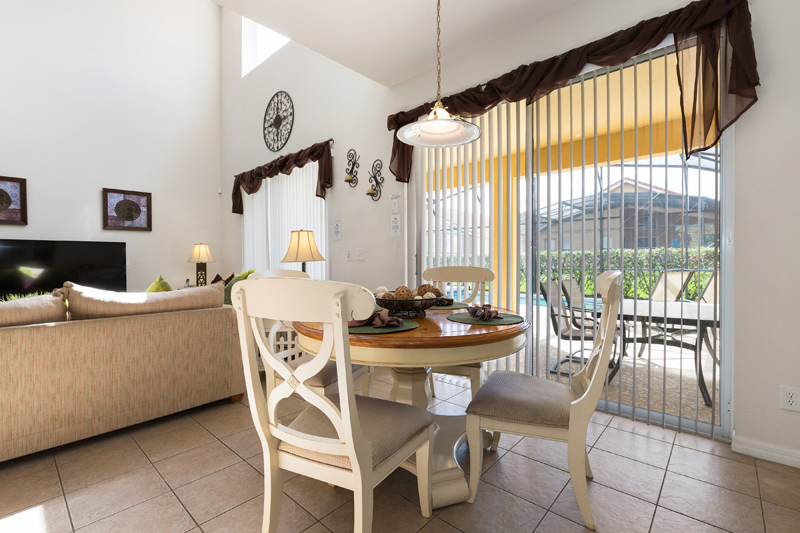 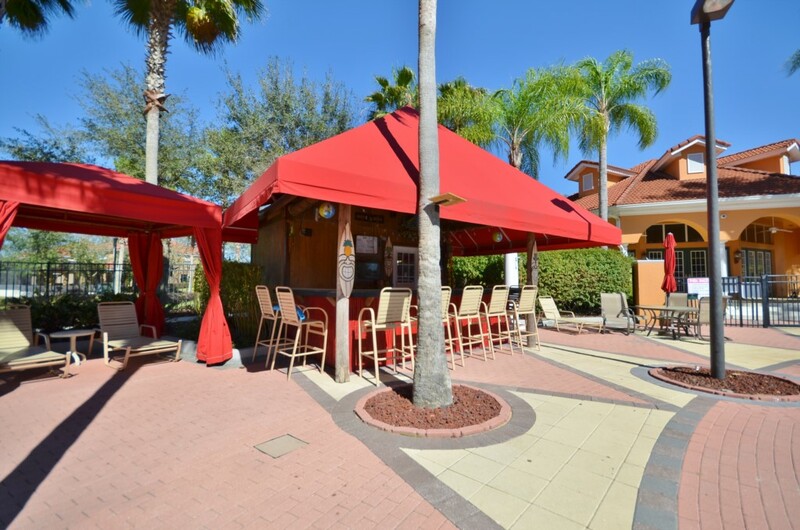 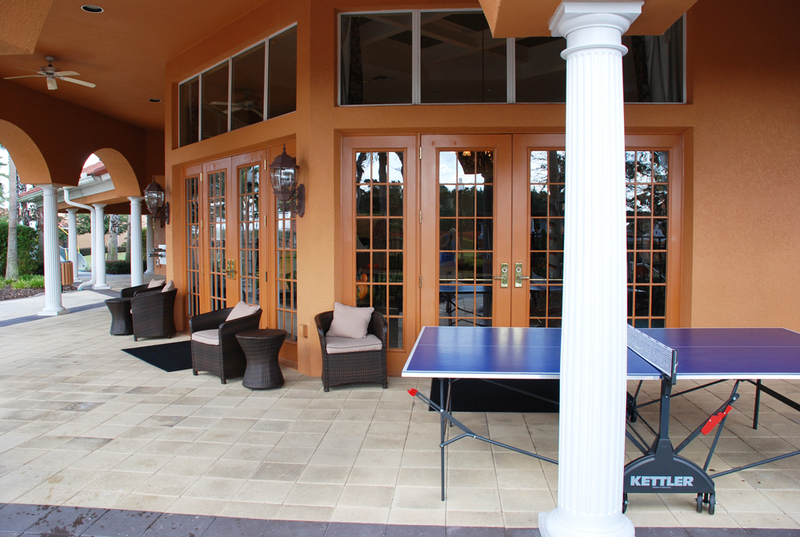 There is a covered lanai with table and chairs where you can sample the delights of outdoor dining, be that a quick breakfast, some light nibbles or even a cocktail under the stars. 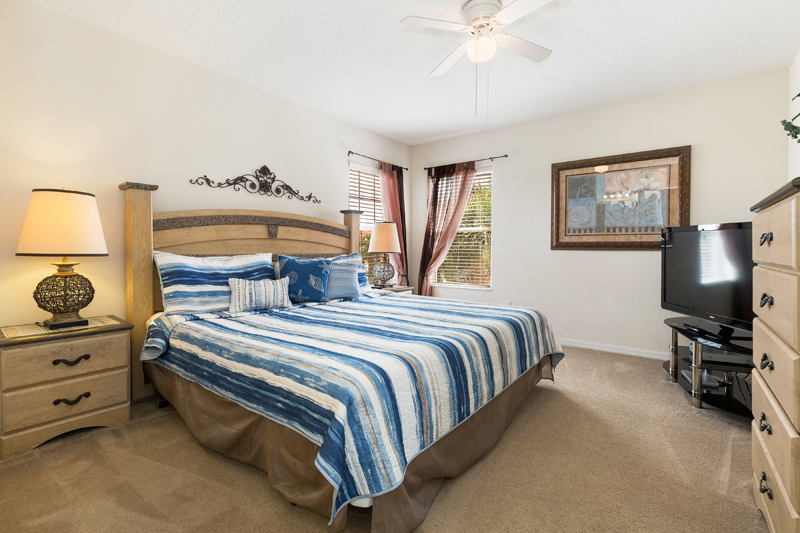 The bedrooms are beautifully furnished with a very luxurious interior and very comfortable, this is where you can enjoy a little quiet time away from the rest of the group, perhaps read a book or catch up on some news on the television. 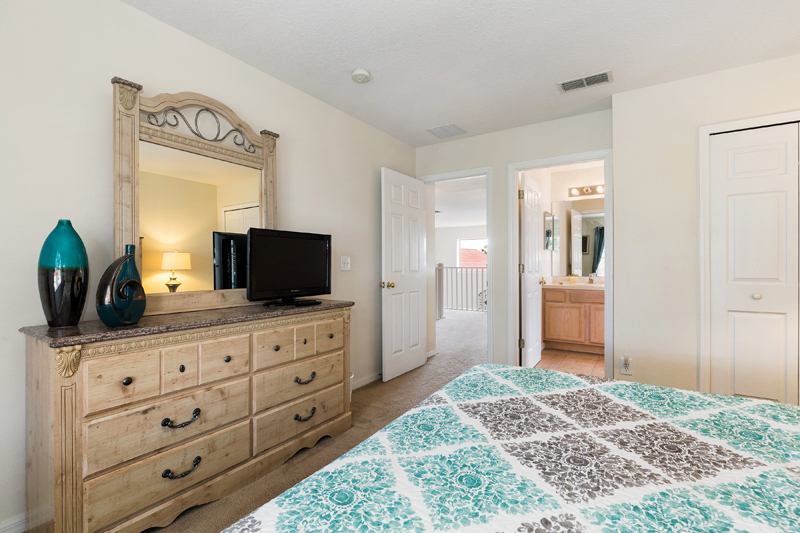 Bedroom 1 - King Suite – Situated downstairs and includes a flat screen television plus Ensuite Facilities of a bath and separate shower plus a single basin unit. 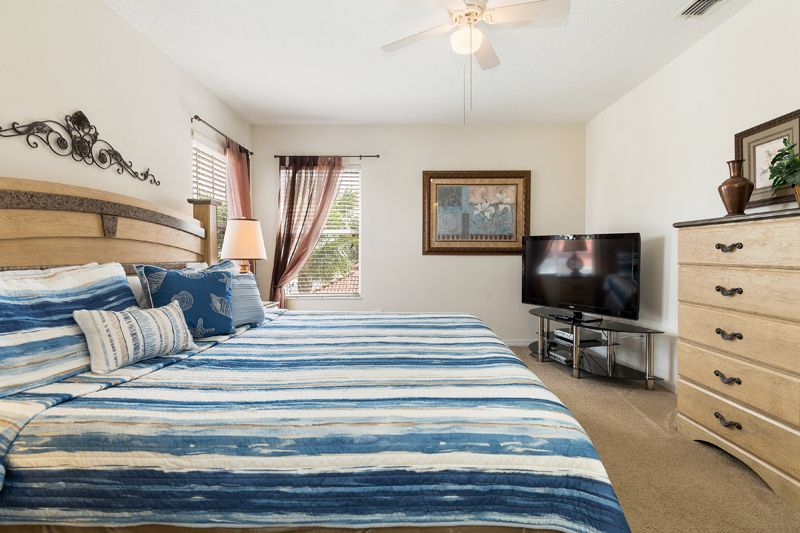 Bedroom 2 - King Suite – Situated upstairs that also enjoys a flat screen television and Ensuite Facilities of a Bath with Shower and a single basin unit. 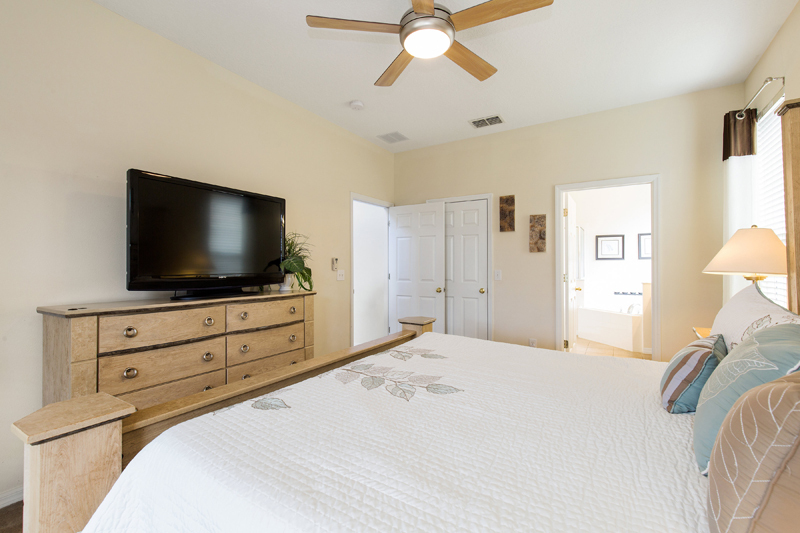 Bedroom 3 - King Suite – Located upstairs with Television and Ensuite Facilities of a Bath with shower and a single basin unit. 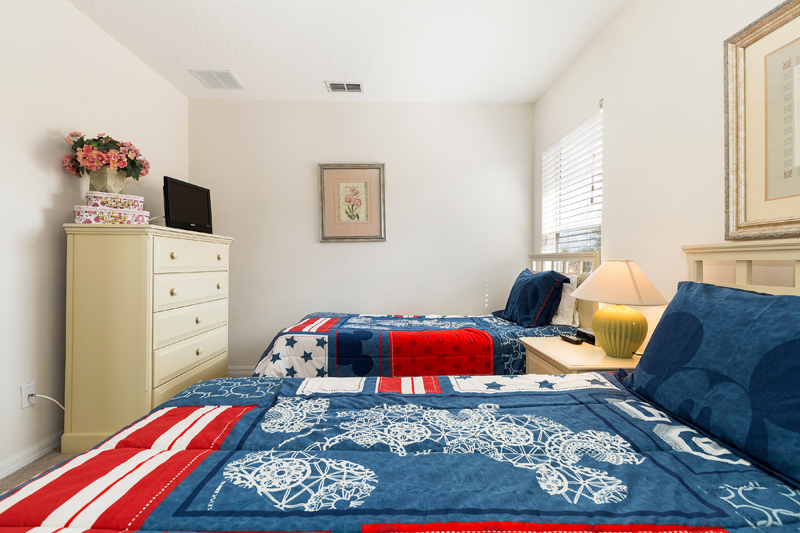 Bedroom 4 - King Suite – Located upstairs with flat screen television and Ensuite Facilities of a Bath with shower and single basin unit. 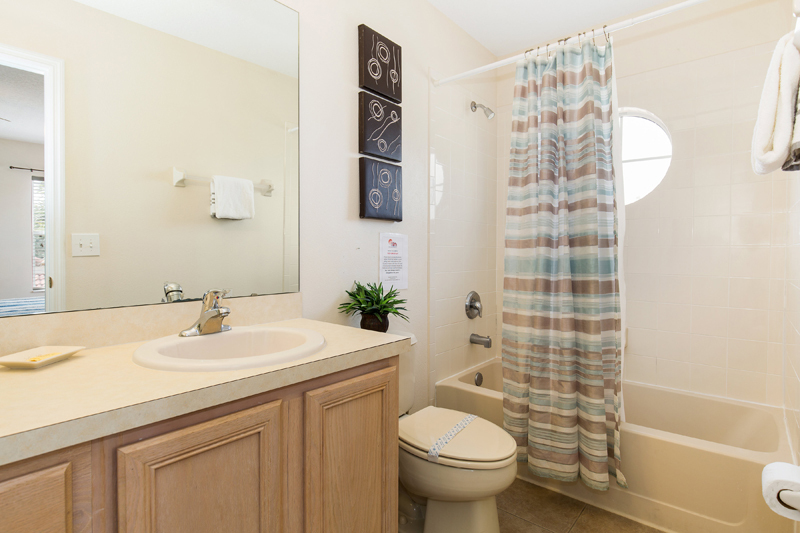 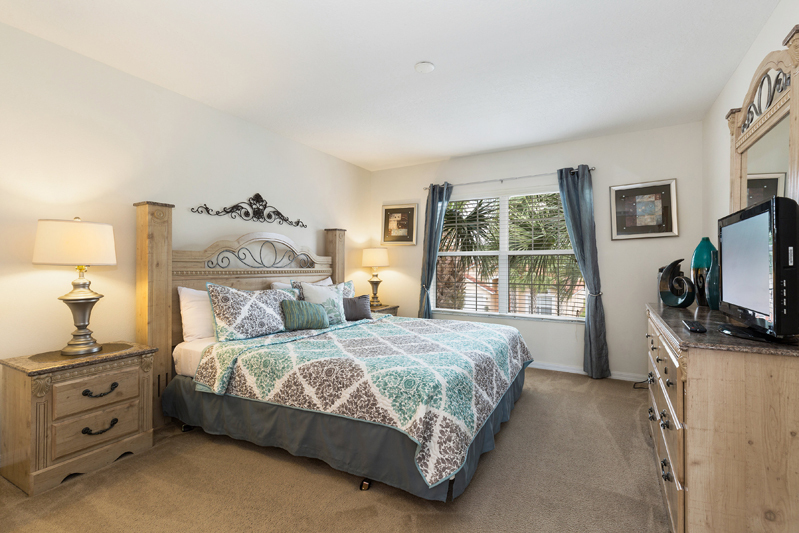 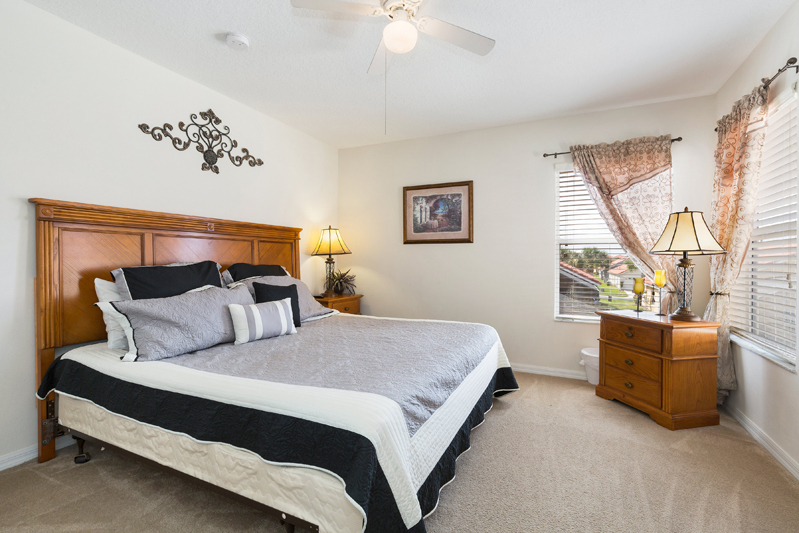 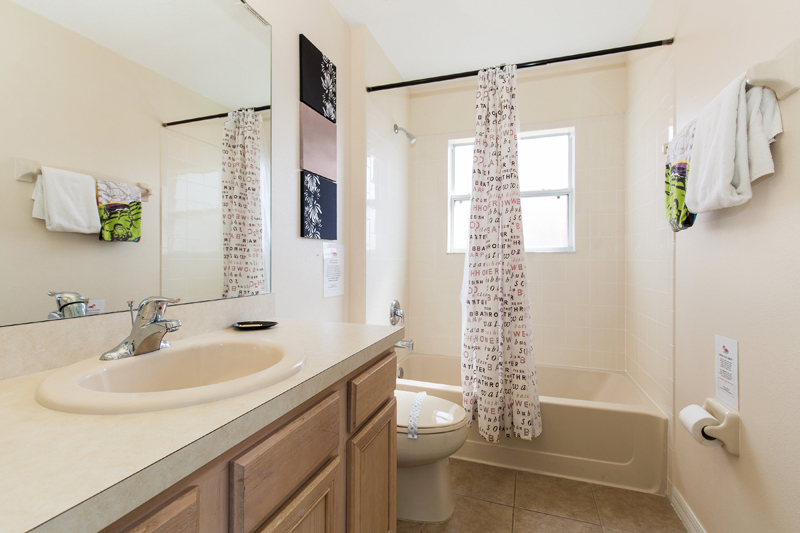 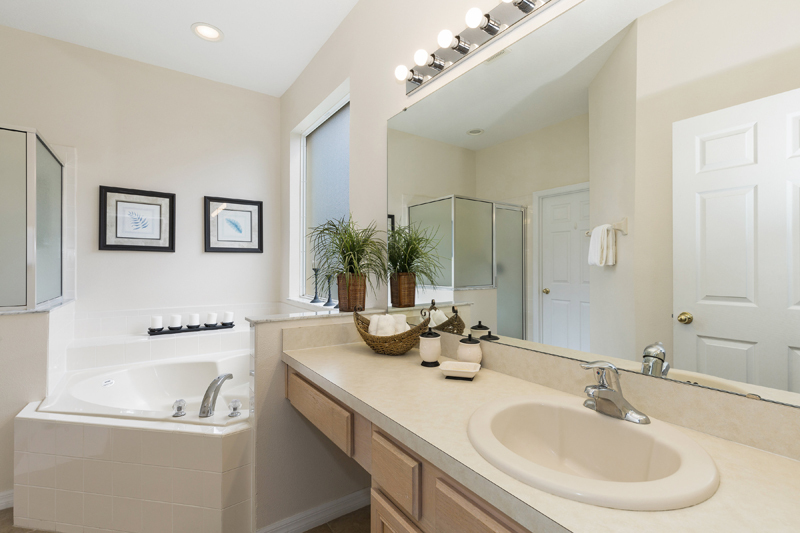 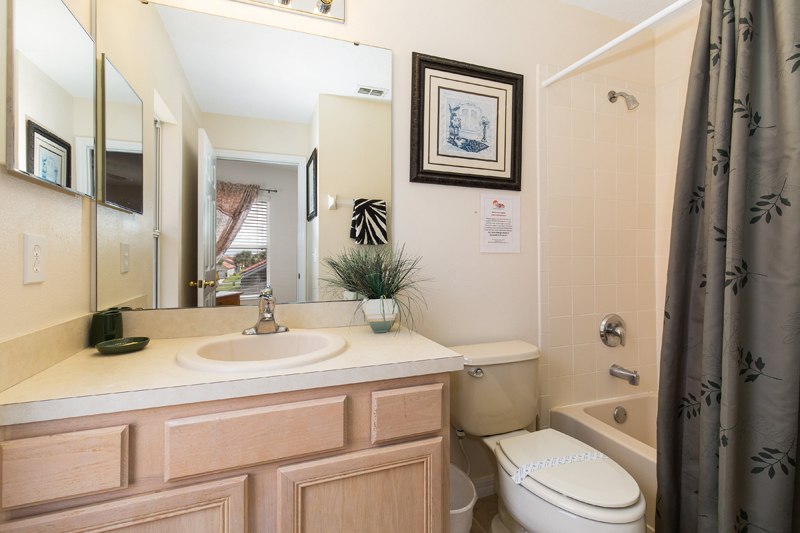 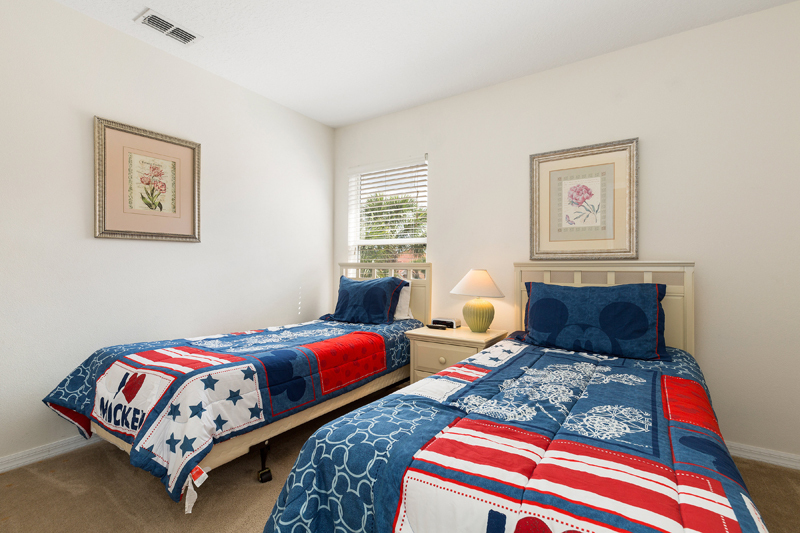 Bedroom 5 - Twin Bedroom – Located upstairs with flat screen television and a shared bathroom. 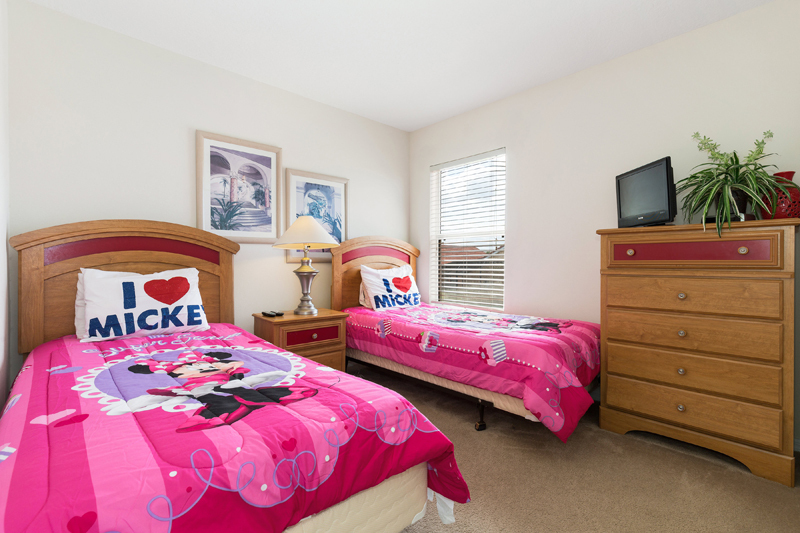 Bedroom 6 - Twin Bedroom - Located upstairs with a flat screen television and a shared bathroom. 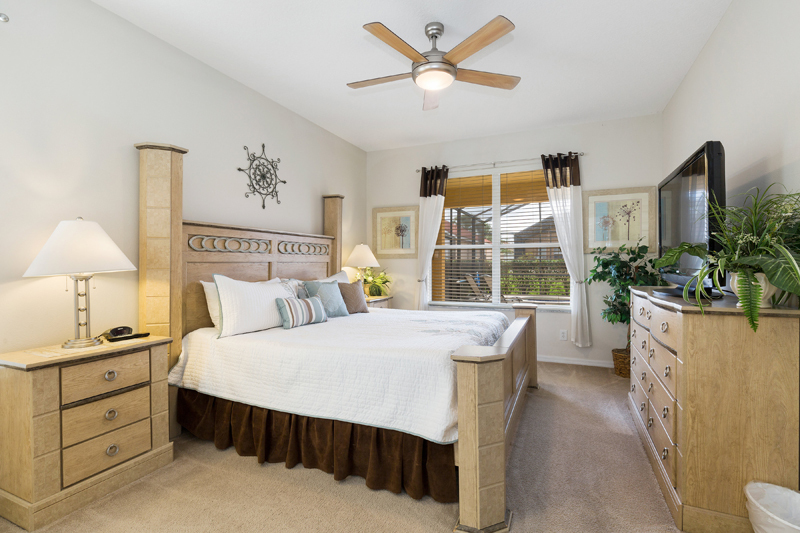 These bedrooms are perfect for family and friends sharing the holiday experience.